Singapore has been experiencing cold weather lately (well, as cold as Singapore can get at least!) and I always find myself yearning for some comfort food. No, not the typical mushroom soup, but real, hearty Indian-Muslim food! 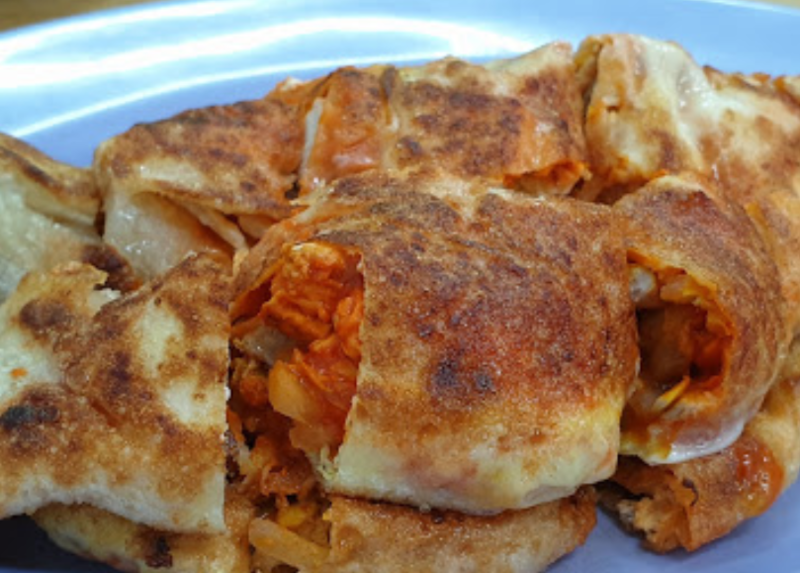 I’m always up for some good ol’ crispy prata with fish curry or that steaming hot plate of Sup Tulang Merah. 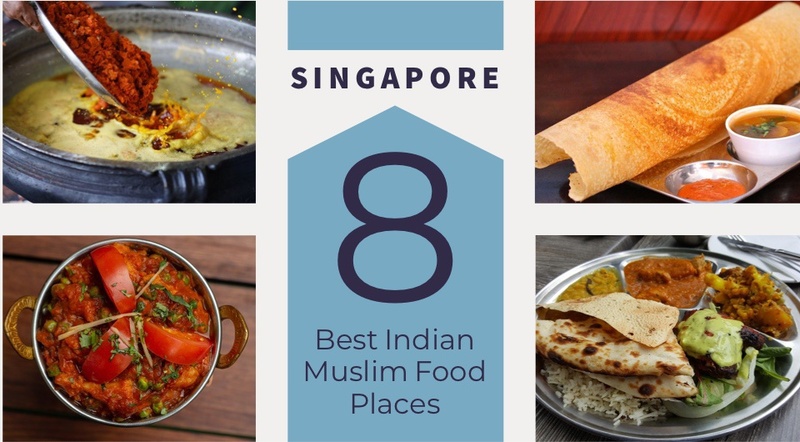 We are blessed to have so much good food in this tiny country and here are 8 of the best Indian-Muslim food places(in no particular order) you can find! This is a hidden gem in Pasir Ris. They are located in the newly renovated Downtown East/E!Avenue and you can spot the restaurant even before you enter the building. The elaborate decorations in the restaurant might look intimidating but they offer affordable food! They have one of the best Teh Tarik served with that mountain of foam and their pratas have a crispy texture, just like how I love it! 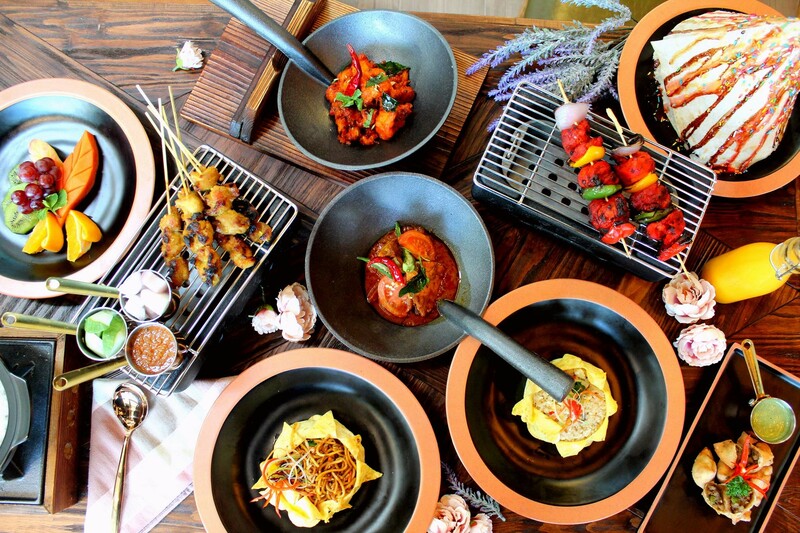 They also serve Thai cuisines so there’s always something for everyone. As a bonus feature, it’s air-conditioned and the atmosphere is perfect for date nights! The east always has plenty of good food options and here’s a quaint food stall in the middle of Bedok Corner. This unassuming stall serves delicious, and lip-smacking Indian food fare. I would highly recommend their Mee Kuah! Sometimes you can’t really help that your tummy grumbles while you’re up late studying or rushing that deadline. Put away those instant noodles and do not order from Mcdonalds for the umpteenth time. Instead, head down to Srisun Prata as they’re open 24 hours! You can easily get a satisfying Indian Muslim meal, complete with a nice cup of authentic teh tarik. Tucked in an 'atas' part of Singapore, it’s a popular haunt for tourists and locals. Do come here with your own transportation as it’s not very accessible via public transport. While you're there, you must try their famous Mee Combo. Not only do they look instagram-worthy with that gorgeous mix of ingredients, they taste extremely delicious too! 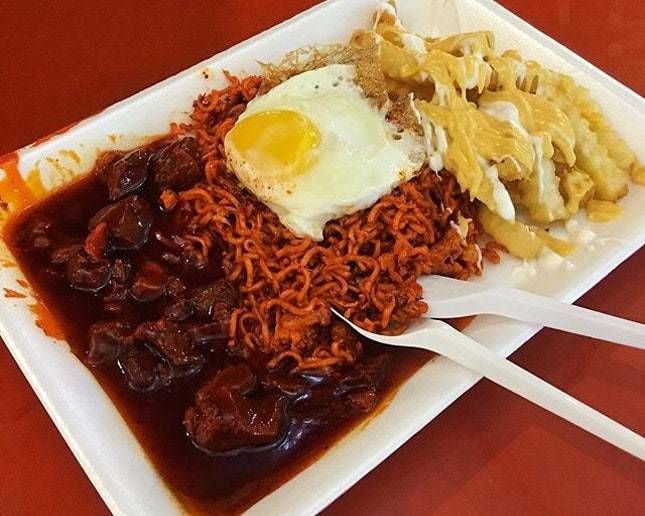 My favourite would be Mutton Chop Combo that comes with Maggie Goreng(you can also opt for kway teow or Mee Goreng), cheese fries, and a fried egg. Head down to Adam Road today and you'll be guaranteed a satisfying meal. This is my favourite prata place ever! I love crispy thin Egg Onion pratas and when paired with the free flow fish curry, it’s becomes the perfect breakfast/supper for me! However, they are not easily accessible too so it would be more convenient if you come with your own transportation. It’s worth it! 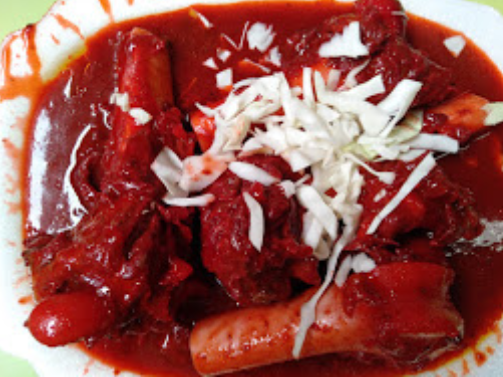 This place is well known for serving one of the best Tulang Merah in Singapore. 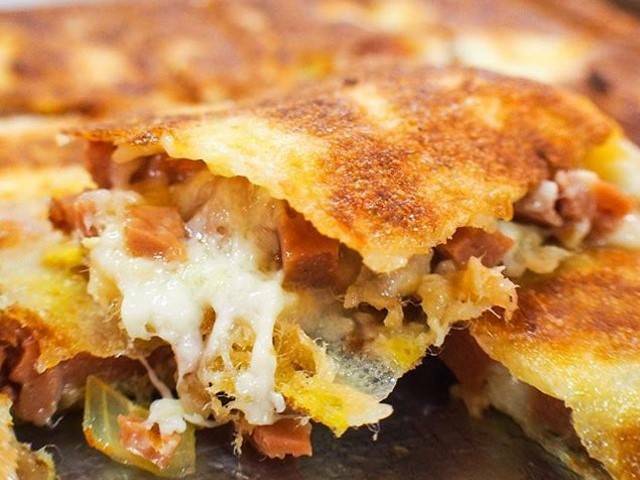 It’s a popular dinner spot among locals for its affordable and tasty spread of food! It’s also centrally located in Singapore so do bring your buddies here for some fulfilling bonding sesh over a plate of steaming red Tulang Merah. This brand is famous for offering a plethora of food options that are not limited to just Indian Muslim food. With that being said, they are still known for their Indian food and I can totally see why! 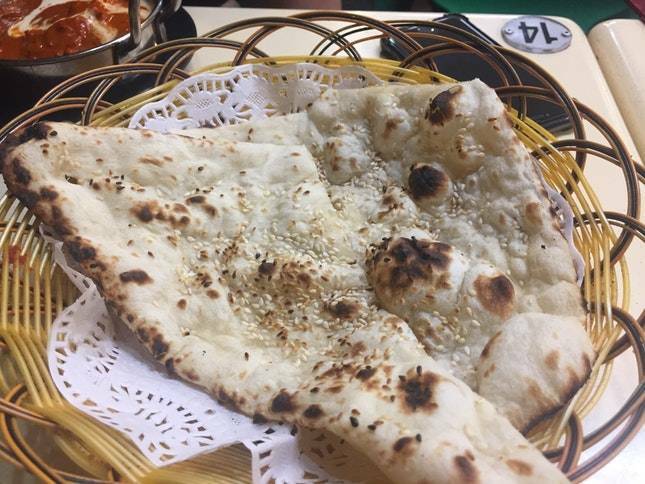 When that naan craving kicks in, I will make sure I head down to the nearest Al-Azhar and indulge in their garlic naan dipped in creamy Butter Chicken. That’s the good stuff! This restaurant needs no introduction since it’s been around for so long (more than a century). Some people prefer their competitors but I personally feel that the Murtabaks here taste better. They have a nice balance of crisp, generous fillings, and density—complete with that Cucumber Salad and Curry. Yum! 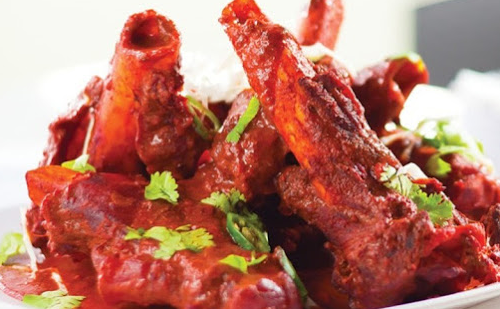 Where will you be heading to sate that Indian-Muslim food craving? Enthusiastic about the little things in life.